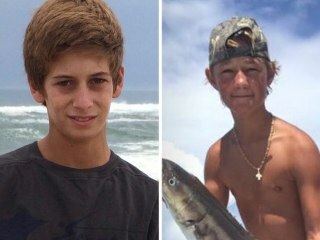 An iPhone found stashed inside a compartment of the boat shared by two teenagers who vanished off the Florida coast last summer could hold clues in a confounding mystery: How did the boys — both skilled boaters — disappear at sea? 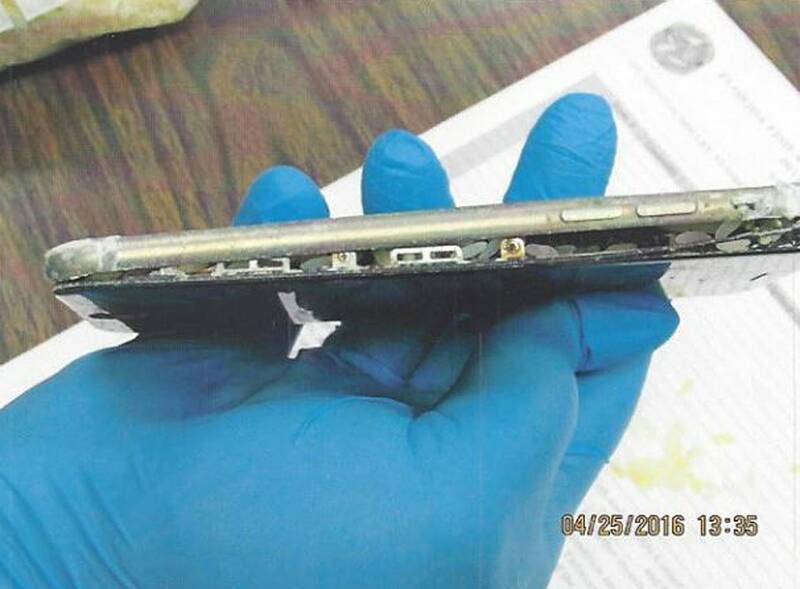 Data-recovery experts say that while salvaging data from the barnacle-encrusted iPhone 6 — which apparently spent an extended period submerged in saltwater — isn’t impossible, the circumstances suggest extracting any information is a long shot. 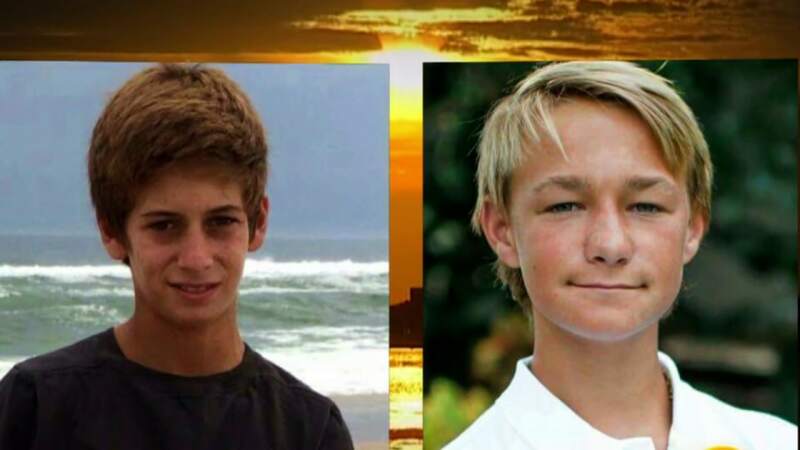 The parents of the two teens — friends Perry Cohen and Austin Stephanos, both 14 at the time — are clinging to hope that it could help explain their disappearance. The two families even waged a legal fight over preservation of the cellphone, although that apparently was settled on Friday. Drive Savers, a data recovery company based in California, says it typically receives more than 300 phones a month in various state of ruin — including some damaged after being dropped in the ocean. Even so, the company has been able to resurrect data in some scenarios, he said. In the case of Perry and Austin, the phone they were using could have been in the water for eight months, based on the barnacles found on the cracked device when it was recovered. Another expert, Robert Heller, a digital forensics expert with CKC Consulting in Texas, told NBC News that if the phone can be revived, the contents could include text messages that were never sent, call logs, pictures and possibly GPS-related information. “At the end of the day, if you have a shred of information that’s recoverable, it can be helpful to painting a better picture of what may or may not have occurred,” he said. The capsized boat was discovered March 18 by a Norwegian supply ship about 100 miles off the coast of Bermuda. The boys, who remain officially classified as missing persons, were not with it. The phone was found with two fishing rods and two small tackle boxes on board the 18-foot, single-engine Seacraft vessel, the U.S. Coast Guard said. The friends had set out on a fishing trip the morning of July 24 from the Jupiter Inlet, just north of West Palm Beach, as severe weather approached. 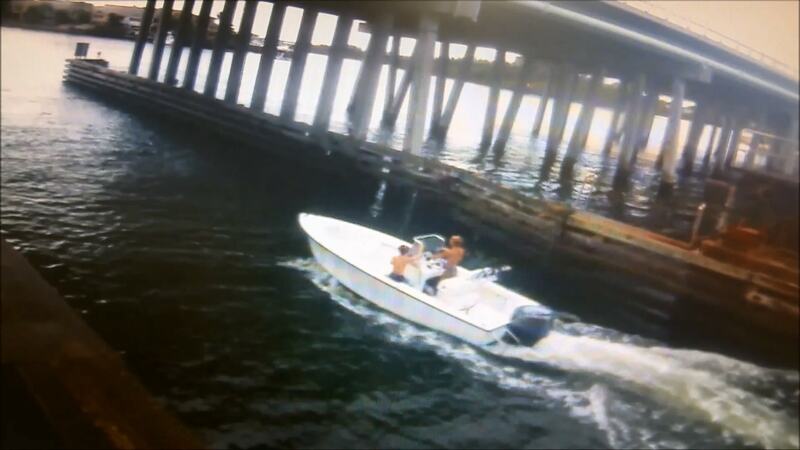 New video released Friday by investigators shows the boys as they cruised around the inlet before heading out to sea that day. The video was taken by a home with a security camera ahead of their ill-fated trip. When they didn’t come home after 4 p.m., the Coast Guard was dispatched. They found the abandoned boat two days later. A personal flotation device and the boat’s cover were gone. A marine salvage company was later sent to tow the vessel back, but by then it had drifted away. At the time, officials said, they were focused on finding the teens and didn’t have the resources to locate the craft. About two weeks later, the search for the pair was called off. The iPhone belonged to Austin, but both boys used it because Perry had broken his — the reason his family says they have a right to know what’s on it. Christopher said it is “100 percent likely” the phone won’t be able to be powered on, especially if it was on when it fell into the water. Austin’s phone, being a newer iPhone model, also would be encrypted — and the entire device would need to be in a semi-functioning state in order for any data to be extracted, added Mike Cobb, DriveSavers’ director of engineering. Even if the hardware of the phone is recoverable, there’s another barrier: the passcode. It’s unclear if the Stephanos family knows the code. Apple has confirmed receiving a request from the Stephanos family asking for its help. Since the investigation was not officially considered criminal, the Florida Fish and Wildlife Conservation Commission returned the phone to Austin’s family. A lawyer for Blu Stephanos, Austin’s father, said Friday that Apple has agreed to take the phone to forensically analyze it. The tech giant did not immediately comment. Earlier this year, Apple waged a legal battle with the FBI after federal investigators sought help hacking into the iPhone belonging to one of the shooters in last December’s San Bernardino, California, massacre. Apple refused to assist in that case, and argued that it did not have the capability to unlock the phone, even if it wanted to, without knowing the passcode. The case involving the teens’ disappearance is a different matter entirely, since no government agency is trying to access the information — and the tech giant would be unlikely to resist a request from the teens’ families for help trying to access the phone. But there’s another potential wrench in the matter: the case of the missing teens could involve something criminal, family members have suggested. 14-year-olds Austin Stephanos, left, and Perry Cohen are seen in this handout provided by the United States Coast Guard in Miami on July 26, 2015. Two months earlier, Austin’s father, Nick Korniloff, contacted the FBI and the state to voice his concern that the boys may have been abducted. Friends of Austin’s told investigators that they received a Snapchat message from him saying, “We’re f’d,” although they couldn’t confirm that they received it the day he disappeared. Raising further questions about what happened, an attorney for the Cohen family told a local news station this week that newly released pictures of the recovered boat show it “was disabled intentionally” because the ignition switch and battery were in the off position. This week, Rubin filed a lawsuit on behalf of the Cohen family against Austin’s family and Florida wildlife officials to ensure the iPhone is preserved and potentially turned over to law enforcement to investigate. At a hearing on Friday, however, both families agreed to have the phone sent via FedEx to Apple for analysis. For Perry’s mother, the chance that something substantial is on Austin’s iPhone is enough to do anything possible to get the information. Not knowing what happened to the boys continues to haunt the family, she told NBC News.